The cosmetic surgery industry is booming. People from all walks of life are turning to cosmetic surgery to correct frustrating flaws. 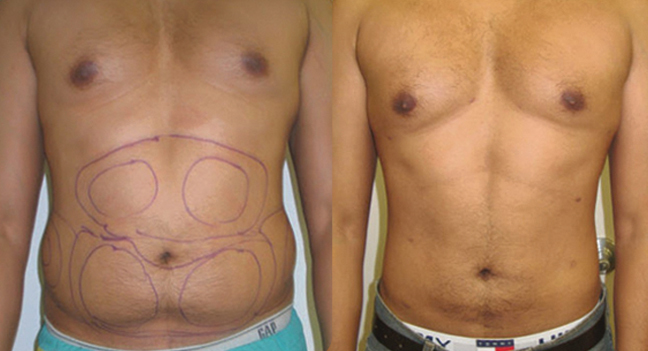 The number one concern in plastic surgery today is unwanted excess fat in problem areas of the body. But surgery can be invasive and expensive, so what’s a person to do when they don’t want surgery? Luckily, there are a few non surgical methods to reducing body fat. Cryolipolysis (CoolSculpting) is the best known method of non-surgical, non-invasive fat removal. During cryolipolysis, fat cells are frozen in order to treat fat deposits in specific areas of the body. Prior to cryolipolysis, or CoolSculpting, a patient is measured in order to choose the right applicator for their body. To effectively target the problem spots, the applicator needs to fit the area precisely, both in size and shape. The applicator is placed on the treatment location, on top of a protective gel pad, and the fatty bulge is sucked into the applicator like a vacuum. Once the seal is created around the area, the temperature in the applicator drops, freezing the fat cells inside. The process may be uncomfortable for the patient at first, but the rapid temperature drop results in a numbing of the area, which will quickly soothe any discomfort. In general, the procedure is painless and many patients choose to read, watch TV, or even nap while they’re undergoing cryolipolysis. Once the CoolSculpting is completed, the body will naturally eliminate the damaged fat cells over a period of about 6 months. Cryolipolysis is greatly effective as a means of body fat removal because fat cells are especially susceptible to damage from cold. CoolSculpting is popular for this reason and because the treatment is quick, painless, and requires no recovery time. Radiofrequency and laser lipolysis are similar to cryolipolysis except they use heat as opposed to cold to treat the area and kill fat cells. They are also used to treat body fat build up in specific areas and reduce the appearance of cellulite. Both procedures use heat to kill fat cells which are then eliminated by the body over time. In radiofrequency lipolysis, radio frequency is used to produce this heat. COnversely, lasers are used to create the same result which is called laser lipolysis. Both of these methods are desirable for fat removal because they affect only the fat cells without damaging any other cells around them. In radiofrequency lipolysis, the applicator never touches the skin. Instead, the heat is produced at a small distance away from the area, usually one centimeter. Neither procedure requires anesthesia or is particularly painful, making recovery a piece of cake. Another effective method of non surgical non invasive fat removal is injection lipolysis, a method by which a naturally occurring acid (Brand Name Kybell) is injected into the fat n order to break down fat deposits. Currently, injection lipolysis is used to treat fat build up under the chin, commonly known as a double chin. Recently Kybella has also been used for the bra bulge area by some cosmetic centers. No matter your motive for pursuing non surgical fat removal, you’ll want to carefully weigh the pros and cons of each method before making a choice. Take the time to consider all of your options and soon you’ll find yourself looking, and feeling, your best. Dr. Neil Goodman is one of the Nation’s Top Laser Liposuction Surgeons – Let him show you some of the latest ways to make your body what you want it to be. 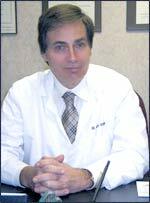 Dr. Goodman has performed over 5500 successful liposuction and Smart Liposuction body shaping procedures on all parts of the body including: abdomen, love handles, thighs, buttocks, neck, back, calves, arms or wherever. Let him give you the body you deserve. While most facilities are restricted by law to only remove 1 liter or fat or less, Dr. Goodman is accredited by The Joint Commission and can therefore remove 4 times as much fat… up to 4 liters of fat during one procedure! Removes more fat than other laser and/or Liposuction procedures – Up to 4 times more! No Risks of General Anesthesia – Performed under Local so You Walk in & out! Fat cells are Removed — Problem Areas Disappear! (ex: immediately after procedure, 2 weeks after, 3 months after, etc). 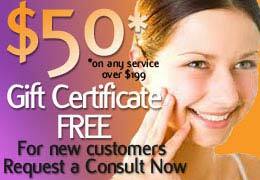 Looking for a Non-Invasive Liposuction Option? Say Goodbye to Stubborn Fat Now! 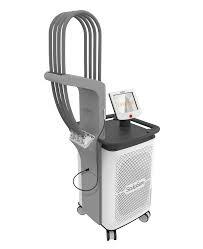 SculpSure is a new completely non invasive FDA approved Laser treatment for fat reduction and skin tightening without surgical incisions, anesthesia or downtime. NEW BTL Vanquish ME is a New state of the art Body Sculpting System that can reduce fat from most areas of the body. Radio frequency energy permanently eliminates fat cells. Your Lymphatic System then naturally removes these fat cells from your body. You are receiving this email as you have previously seen Dr. Goodman and have been invited to Dr. Goodman’s Look Like a Model at any Age Event. using the contact form on your screen. These are common complaints heard by a host of women following a pregnancy. As is well known, women’s bodies can change dramatically after having a baby, whether it be the first child or the latest, and it can be a source of anxiety for those who aren’t ready to trade their figure in for motherhood. The reality is that most women’s bodies are significantly affected, and that having a baby is not a trifle. For those who choose option #3, let us say: bravo. If you are one of the women in the last category, you may be wondering: “What are my options?” There are many techniques to help bodies return to their former glory, varying in efficacy, price, and severity. Done concurrently, these processes are known by the general term “Mommy Makeover” — that is, a series of procedures that alter a woman’s figure post-pregnancy. In this post, we’re going to explore the most popular and the most successful. Breast Augmentation via Liposuction – For select patients, there is the option to transfer fat, which is removed via liposuction, to the breasts, resulting in fuller, more natural breasts. The benefits are obvious — removing fat from areas where it isn’t wanted, and putting it in areas where it is sounds like a no-brainer. Consult your doctor to see if this procedure is right for you. Breast Lifts – This surgery excises loose skin and tissue, in order to create a tighter feel and a more youthful appearance, firming up the breasts, and maintaining a natural aesthetic. Breast Implants – Traditional implants will definitely firm up one’s breast by replacing lost volume and correcting asymmetry, as well as increasing the size. The area most obviously affected by pregnancy is the stomach. After housing your child for nine months, the skin stretches, and fat accumulates in the core region, attaching itself to the love handle region, the hips, and the tummy. Cellulite, another genetic proclivity, can also affect this area, and no amount of sit-ups or dieting can substantially alter this. Tummy Tuck – Also known as an abdominoplasty, tummy tucks are a major surgery designed to remove excess skin and tissue, all while strengthening and tightening the abdominal wall. The procedure, when done properly, will hide the scarring as best as possible, though some residual scarring will most likely be visible. “Mini Tummy Tuck” – The mini-abdominoplasty, or “mini tummy tuck”, is substantially less invasive,than an and gives wonderful results in most patients. Another advantage: it costs significantly less. It involves the procedure known as smart liposuction — liposuction done with laser — which is less invasive and less traumatic. It tightens skin, has a faster recovery period, and is performed under local anesthesia.